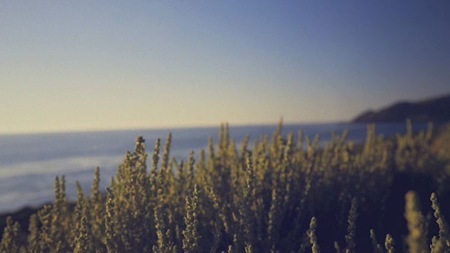 Director Brian Levi Bowman has released a new short film entitled Meridian which features the Tycho track Daydream. I think it came out beautifully, those particle effects are amazing. They simply licensed the track for this so I had no input on the project; in a situation like this it’s always interesting as a musician to see what directors will do with your work. The finished product rarely reflects the meaning you originally had for the song, but it’s always nice to see a different take on things. There are a few viewing options below, I recommend the Quicktime if you got it, the quality is much higher. Tycho: Decibel Seattle .. Fujiya & Miyagi: S.. Ghostly Swim: New Tycho..
especially the color scenes with nature and skies. also really liked the color tones of the video and all of the nature shots…very fitting and well done. OH MY GOSH! I LOVE IT! SO SO SO AWESOME! i can’t believe that i saw it right now. my favourite track! beutiful girl! pretty house! great sunrise/dusk motion! nature shots is great! perfect colours! perfect effects! just genius! thx to all guys that worked on this vid. the overall effect is nice. very well produced. but way too much cliché for me. after baraka and and the qatsi series, time lapse footage along ambient music is just repetitive. The coupling of audio & visual is a such a fascinating medium. It’s cool to the track “in action”. I think Bowman did really well. I wonder what Scott would do differently. I think I just crapped myself. great video. that’s what I was reminded of when it first opened. Very nicely edited. Went overboard on After Effects plugs though! This video is great visually but lack content that I know would be there if it were produced by Scott. Awesome. 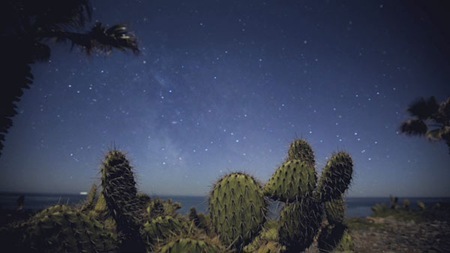 Loved the time-lapse with the star-studded cactii in the foreground. Thanks for posting Scott. Very well done, I enjoyed it very much. That’s great! Really nicely done. Thought the last three or four cuts were a little jarring, but otherwise really nicely done! I love seeing stuff I’ve made just go out there like this. I’m sure you had a similar experience? watching this was worth while. oh- and i think that the music is what actually made the video, not the other way around. props. peace. love. Needless to say, I was really disappointed that these guys beat me to the punch. Don’t get me wrong, I think they did an amazing job (and of course I’m sure having DK backing them didn’t hurt either). Overall, major props to the entire crew behind this. Great stuff, has such a nice feel to it. Super time lapse photography, and as you mention, sublime particle effects, really a very nice short. Brian Levi Bowman and crew have done a super job. If I had any gripes with it, it would be with the casting of the model, although I understood she was meant to represent ‘materialism’, she just was not interesting enough, I could be wrong but I got the impression she is a model and not an actress (sorry should say ‘actor’ to be politically correct), and I think the lack of personality casts some cliche to it, and perhaps a slight case of more style than substance. It cannot be denied however, the music is superb, and does a hell of a lot for the video in my opinion, and for that reason I pimped it on http://www.Original-Linkage.co.uk. 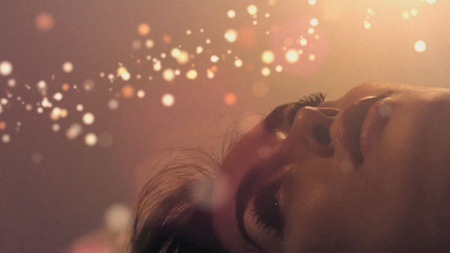 I think the end result makes for a fantastic music video for Tycho! Amazing piece, the visual message is conveyed and the your track generates a great mood for the video.. Great merger of the two. but you’re not a jedi yet! Just saw that the video is featured on Motionographer … http://motionographer.com/2008/08/13/meridian/ … not much of a write up, but featured nonetheless. Beautiful video, sweet song. I know what H means tho. When I watched this I was reminded of a timelapse short copied around a few years ago which was in fact called “Daydream” and featured some similar footage (but no humans).